Not able to join us for Mother’s Day and want to beat the crowds, join us for this special day with your family and friends; and don’t forget to bring “Mom”. Featuring our traditional Sunday Brunch menu offering a wide variety of favorite dishes and a beautiful morning view of the Inland Empire. 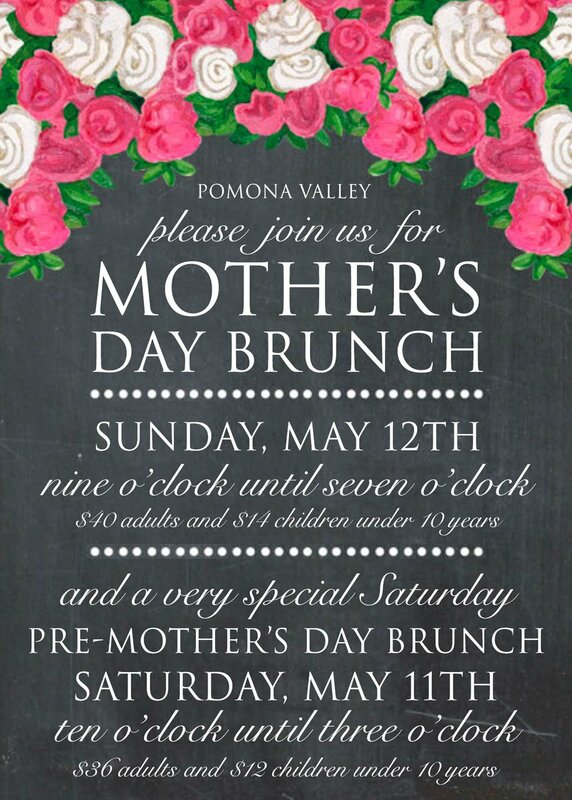 A Saturday Brunch at Pomona Valley Mining Company is a great way to enjoy the special weekend with your family.